There will be a regular Shrunken Saturday post today, but this is an extra post. Recently someone left a comment on last year's Sweater Season post and I promised them I would let them know about any sweater finds this year. Well, I found some sweaters! 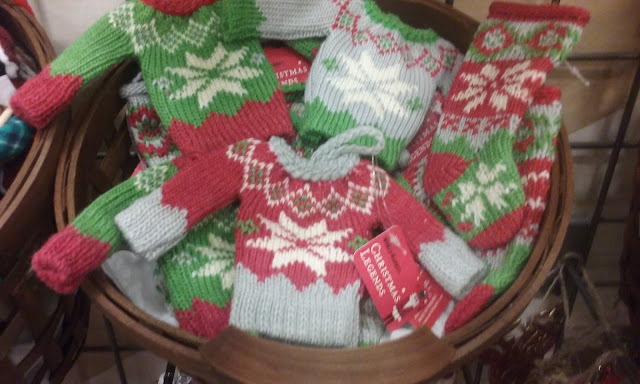 These are 1/6 scale sweaters that are meant to be Christmas ornaments. The first one is from Target. As you can see, the sleeves may be considered a little short, but it works. These sweaters came on a hanger, and luckily weren't glued to it,only sewn with a couple of stitches. The hanger was such soft wire that it bent all out of shape with the effort of removing it from the sweater. 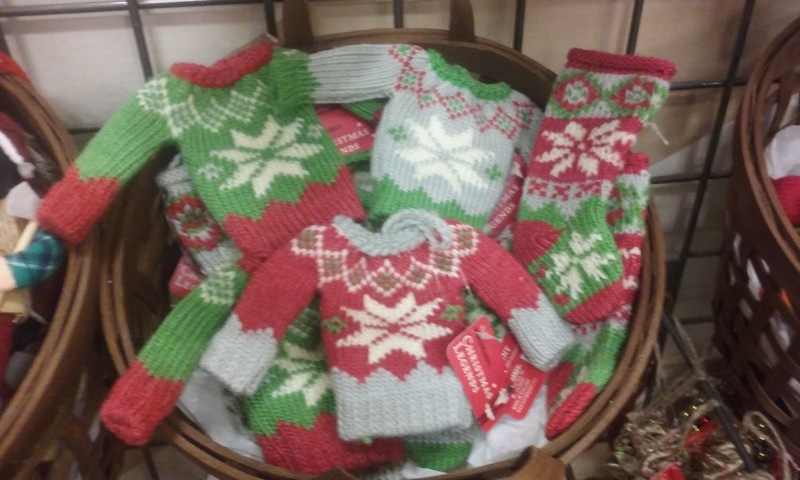 The next batch of sweaters was found at World Market. These sweaters were not a consistent size. Some were slightly bigger than the others. I think all of them were a little bigger than the Target sweater. I can't be sure though, because they were more expensive then the Target sweaters,(and no hanger! 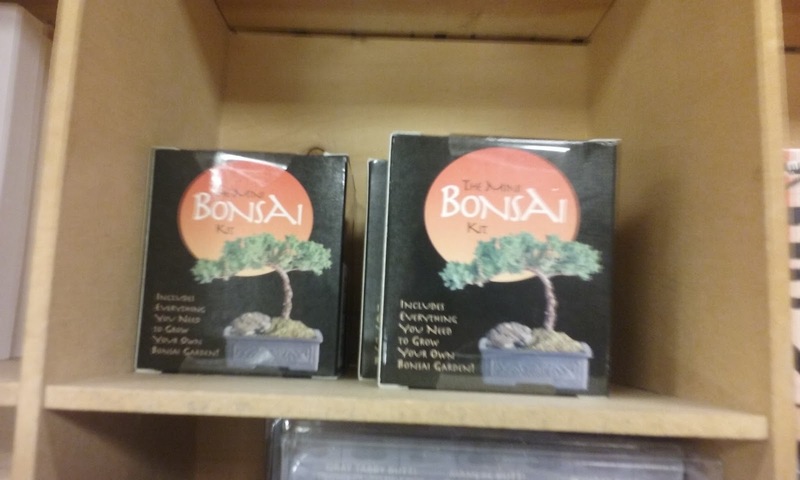 ),so I didn't buy one. They were a thicker,and so stiffer,knit than the Target sweaters,but they came in three different colours. You'll notice there were also doll sized stockings too. The next find at World Market were these 1/6 scale walking sticks. Aren't they great? 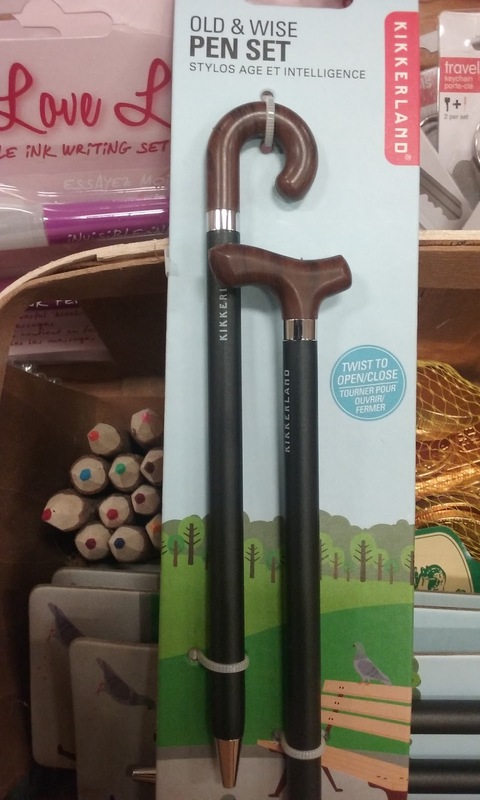 They're pens. You could remove the ink part and they would be flat on the bottom. I have to credit Ivy for finding these. 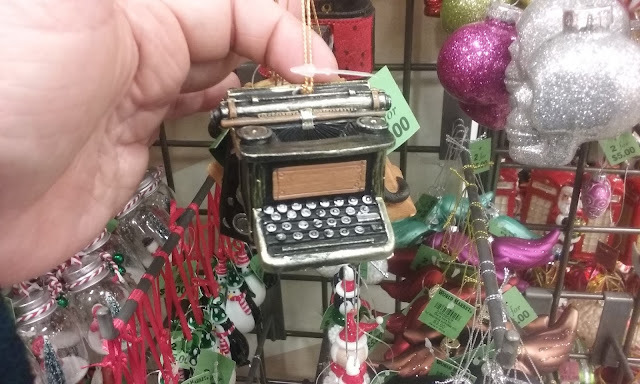 Next is this 1/6 scale old fashioned typewriter. 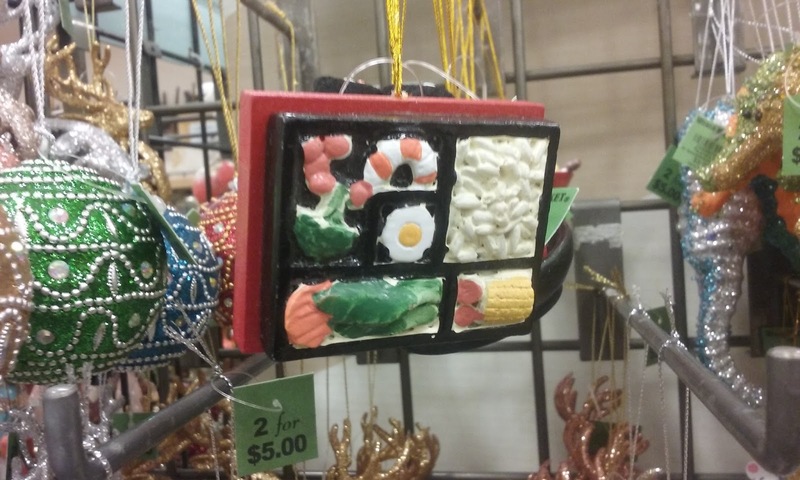 It's made of resin I think.It was in the 2 for $5 section with this 1/6 scale sushi. ...and this 1/6 scale sewing machine. 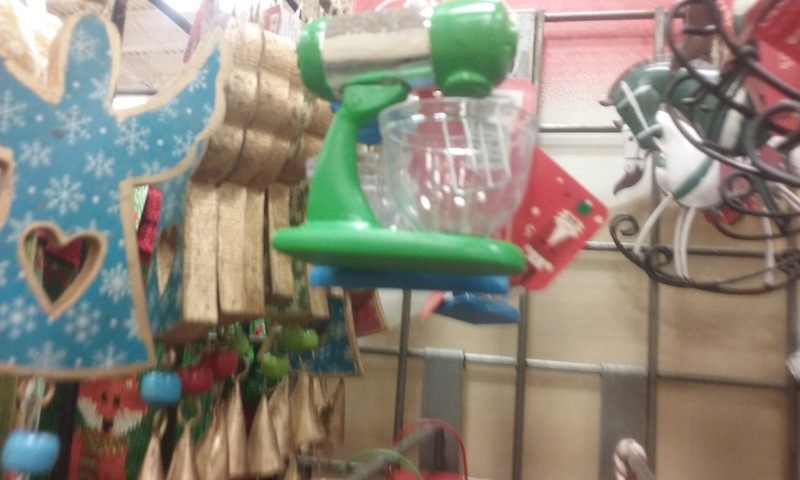 And a 1/6 scale stand mixer. 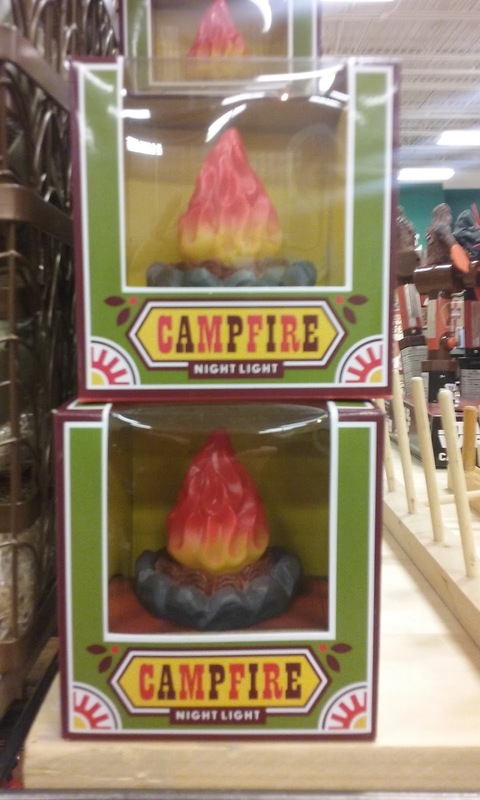 Elsewhere, near the walking sticks, there was this battery operated campfire that is the perfect size for 18" dolls. There were also these 1/6 scale bonsai trees. 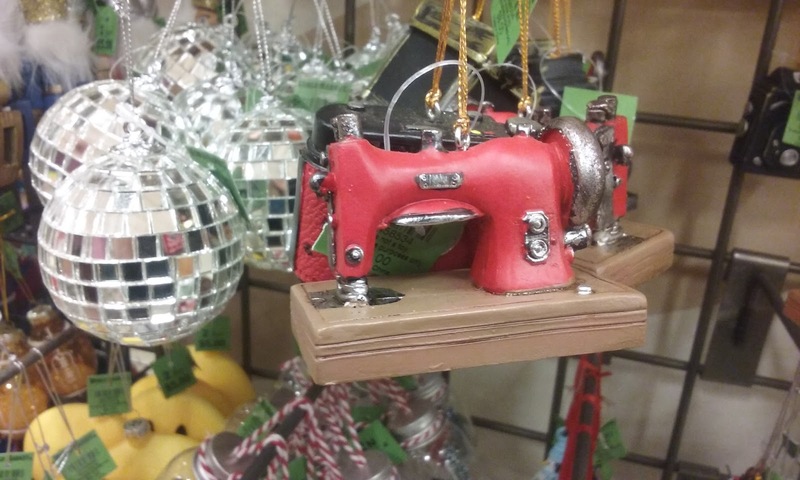 Keep in mind if you live near a Meijer store that they seem to have sweater ornaments every year, but they go fast and are hard to nab. You have been forewarned! Don't forget to check out today's Shrunken Saturday post.